Celebrity Beefsteak: This is a mid-season tomatoes with a glossy, deep red skin and crimson fruit. 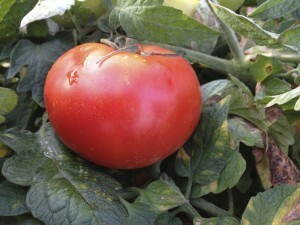 The Celebrity is a fine summer tomato for cooking and eating fresh. Perfect size for using fresh in pizzas, sandwiches and salads. 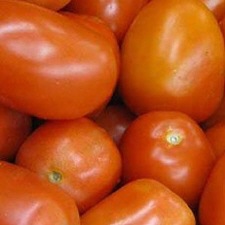 Roma Tomatoes: Use like you would a regular tomato or for cooking in Italian dishes. 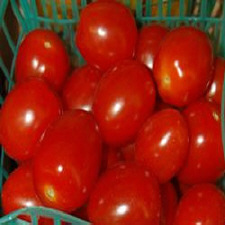 Red Grape Tomatoes: This sweet tomato is a favorite to many. It has an excellent flavor, and has heavy yields– each cluster produces 10-20 fruit. 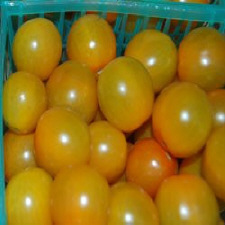 Yellow Grape Tomatoes: This is the yellow version of the red grape tomato. Use as you would a pear or cherry tomato. 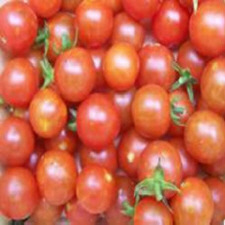 Red Pear Tomatoes: This tomato looks is the size of a grape and is slightly smaller than a cherry tomato. 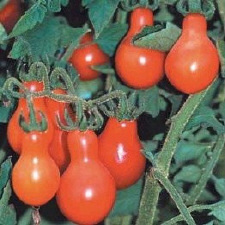 This is the red version which is very sweet and can be used like a cherry tomato.